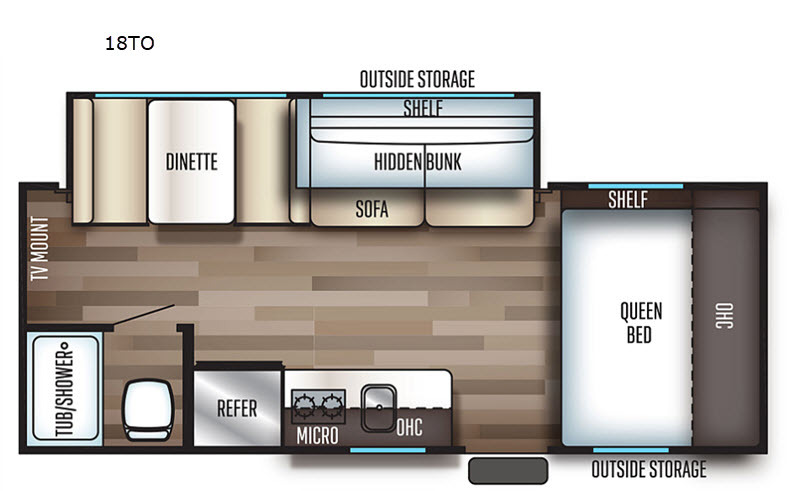 This travel trailer is perfect for your family of six. You'll love the slide out, which opens up the floor space to move around freely. 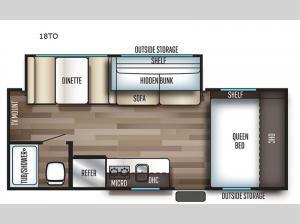 Within the slide you will find a dinette and a hidden bunk above the sofa. Prepare a family dinner with a two burner cooktop in this travel trailer, as well as a microwave. 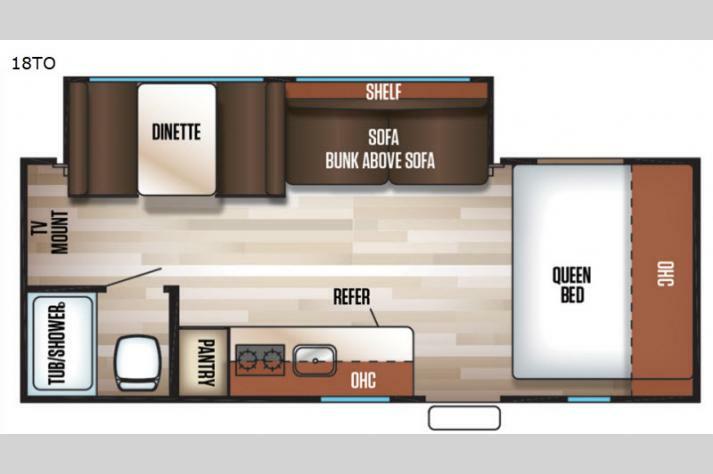 This unit includes a queen bed for a good night's rest. You'll appreciate the rear corner bath for added privacy. This model also features a TV mount, which gives the fun option of bringing a TV for movie night! 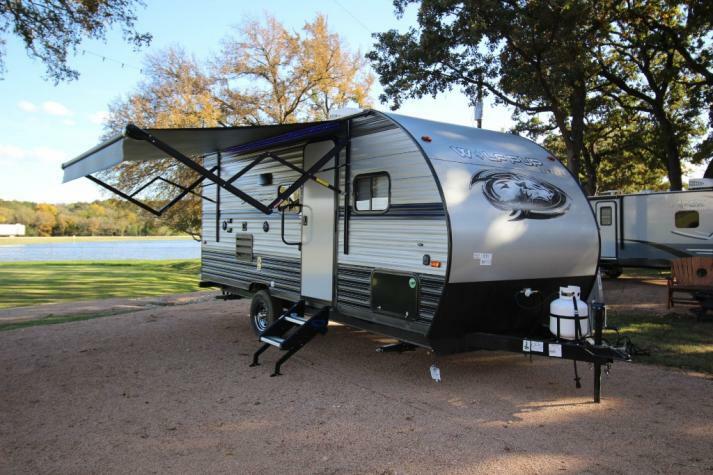 Make this Cherokee Wolf Pup travel trailer yours today! When you choose to camp with a Cherokee Wolf Pup travel trailer, or the toy hauler, you are getting an easily towable lightweight trailer as well as ample room throughout each model. The aerodynamic radius front profile allows for better gas mileage, and the one-piece walkable decked roof allows you to easily clean off the top of your unit after a weekend trip. You'll enjoy features such as an awning with an LED light strip, a high-gloss seamless countertop, and an outside shower with hot and cold water, plus more! 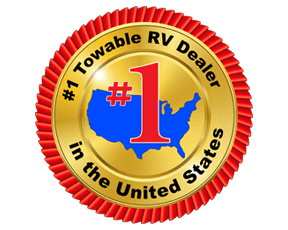 With a carbon monoxide detector, safety glass windows, and a smoke detector in each unit, these travel trailers and toy hauler have been constructed with your family's safety in mind. Come select your favorite Wolf Pup model today!